Once upon a time coachbuilding was a common practice amongst the well-heeled buying an automobile. Manufacturers would be responsible for the mechanical elements, but a separate coach builder would craft the body to the customer's liking. 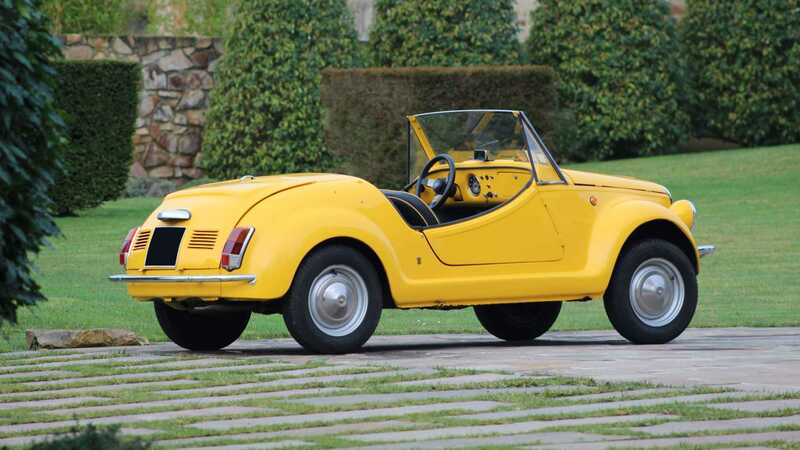 While the Fiat 500 is an unlikely candidate for intricate coachwork, this trio of classic Italian city cars being auction by Artcurial prove that variety is the spice of life. 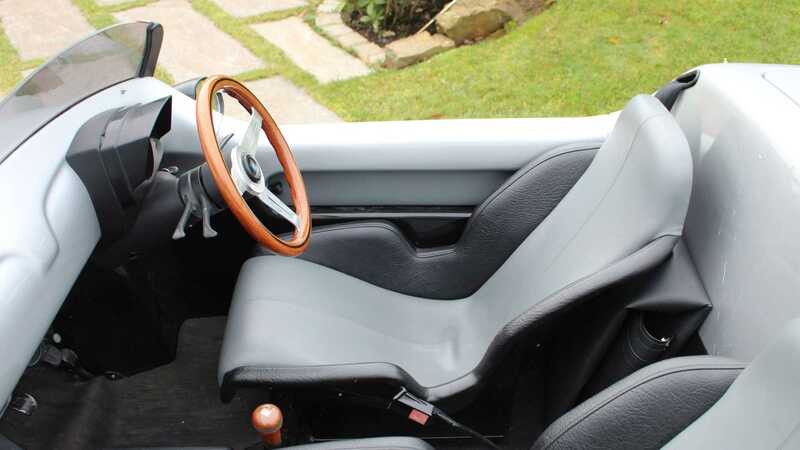 The first of these quirky cars actually has a McLaren connection as the same designer was also responsible for the mighty McLaren F1. 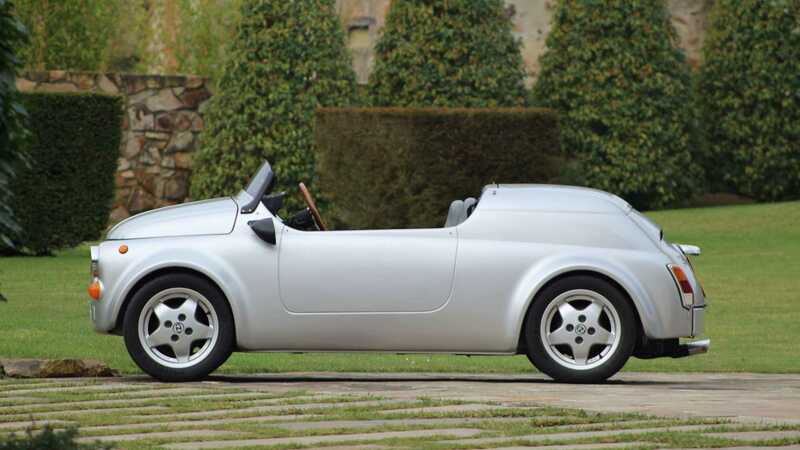 This Peter Stevens designed micro-car is dubbed the ‘Fiat 595 Barchetta by Simpatico’ and is actually underpinned by a Fiat 126. 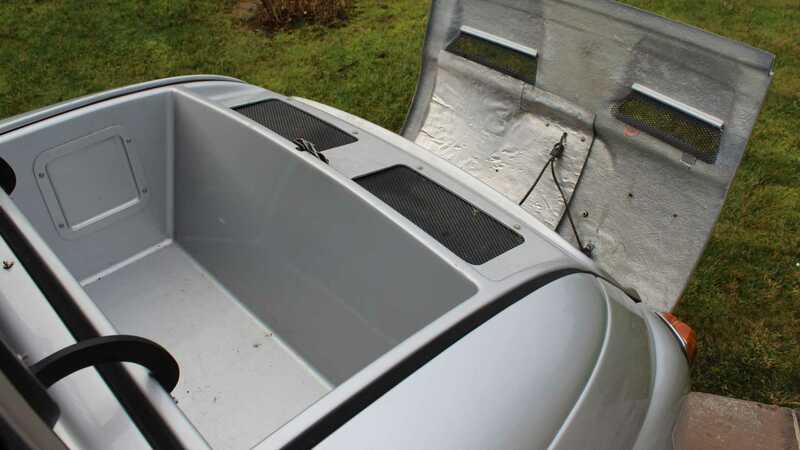 The key objective was to keep weight to an absolute minimum, and so it features a Kevlar-fibreglass body that contributes to a curb weight of just 460kg. 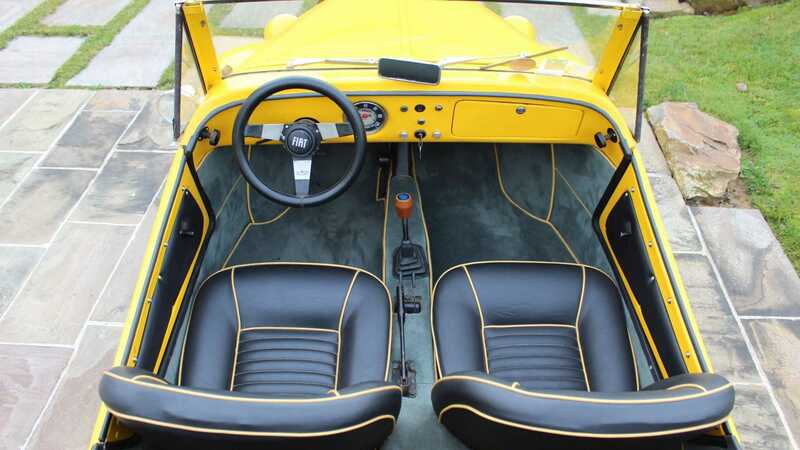 A Nardi steering wheel, OZ alloy wheels, and fiberglass bucket seats adds to the sporting nature of this open-top car. 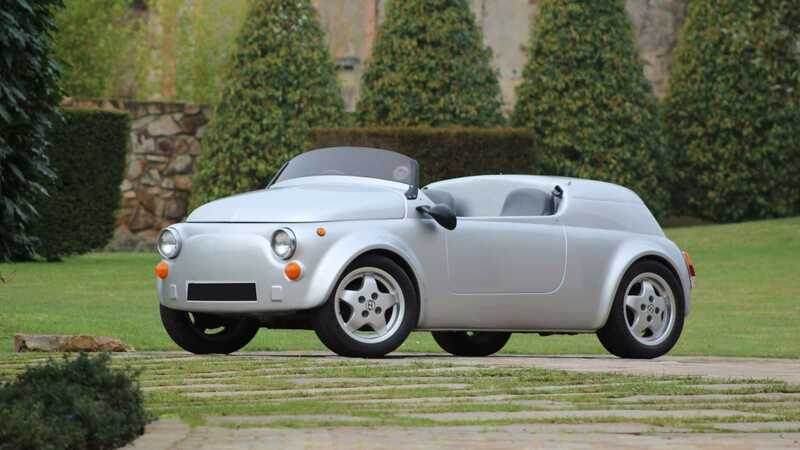 Only nine of these Fiats were produced by the factory (conversion kits were also available) making this little car something of a rarity. 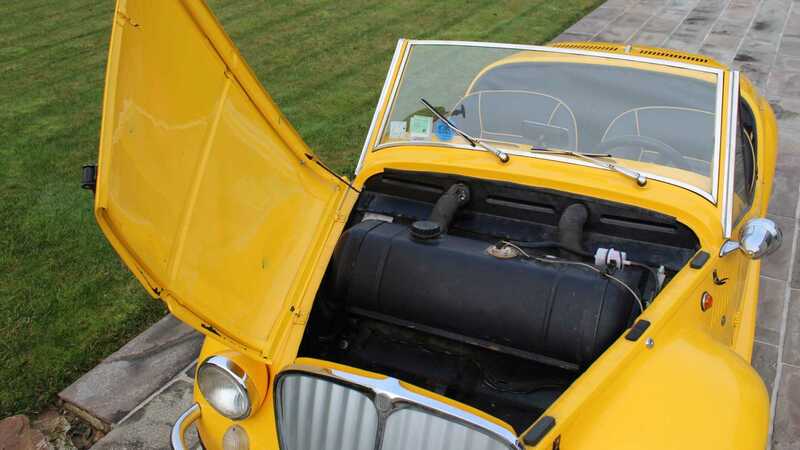 With just 878-miles on the clock, this 595 has spent most of its life in the Catimini collection after being acquired in 1996, three years after it was built. 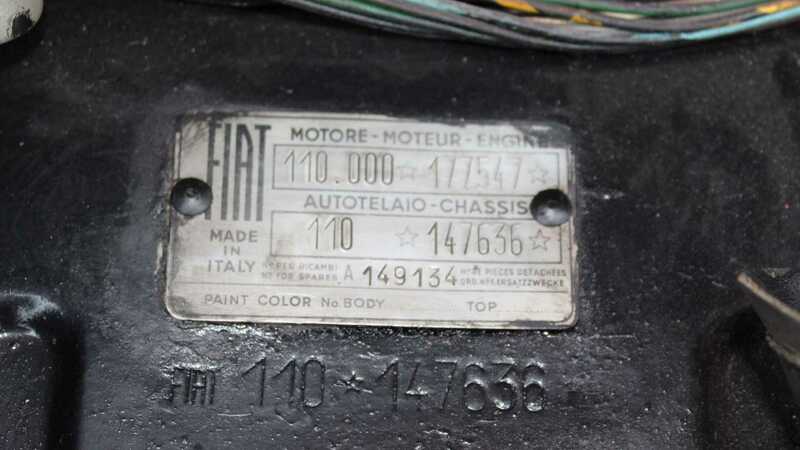 Of course the Fiat 126 underneath is a bit older as it was registered in 1982. It’s expected to fetch $13,600 - $20,400 at auction. 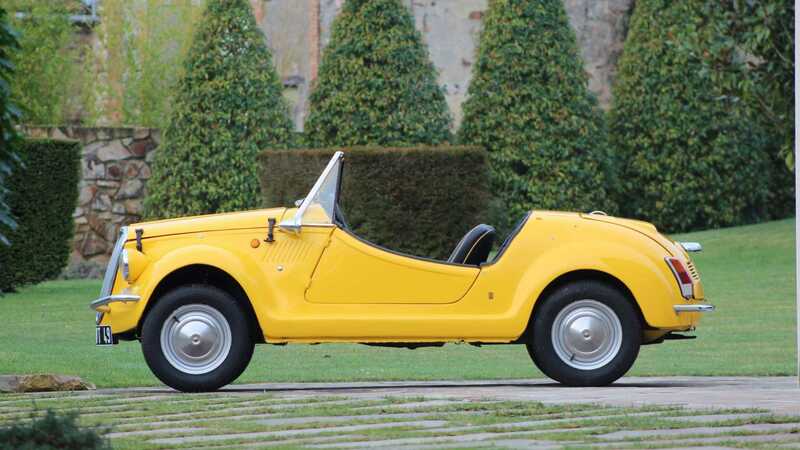 The second micro machine to be auction by Artcurial is this curious 1969 Fiat 500 Gamine par Vignale. 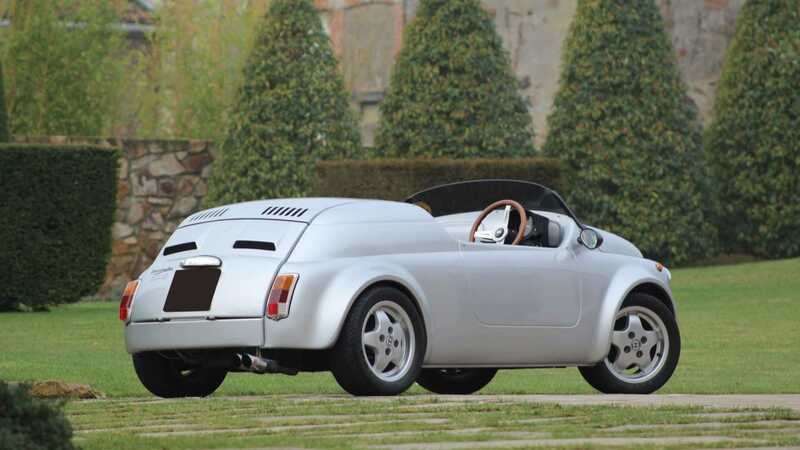 It was the brainchild of a Monegasque Fiat dealer named Mr. Germiniani who wanted a roadster variant of the 500. 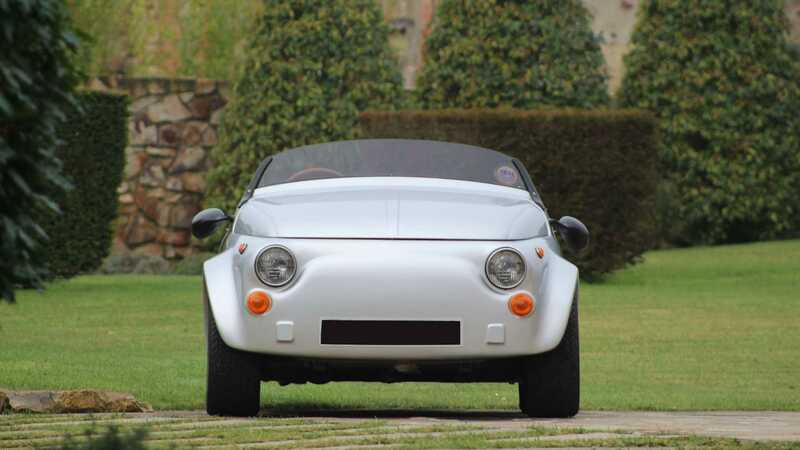 With coachwork by Vignale, this '60s roadster numbers only 400 and made for another intriguing addition to the Catimini collection. 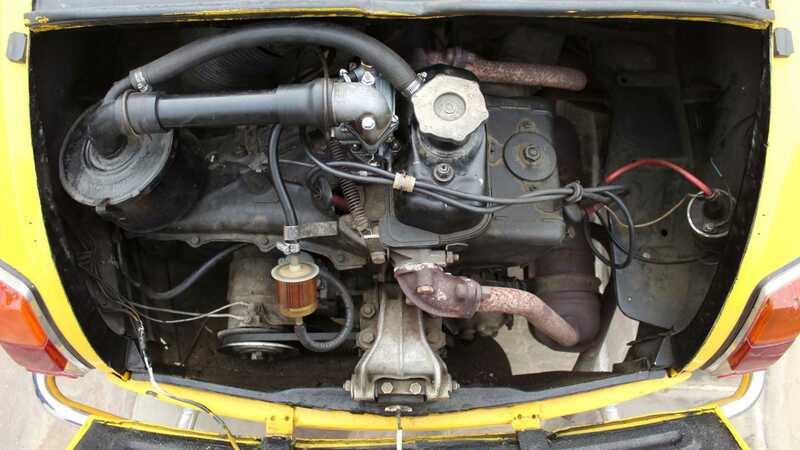 This yellow example has undergone some underbody restoration work as well as benefiting from fresh upholstery in the cabin. 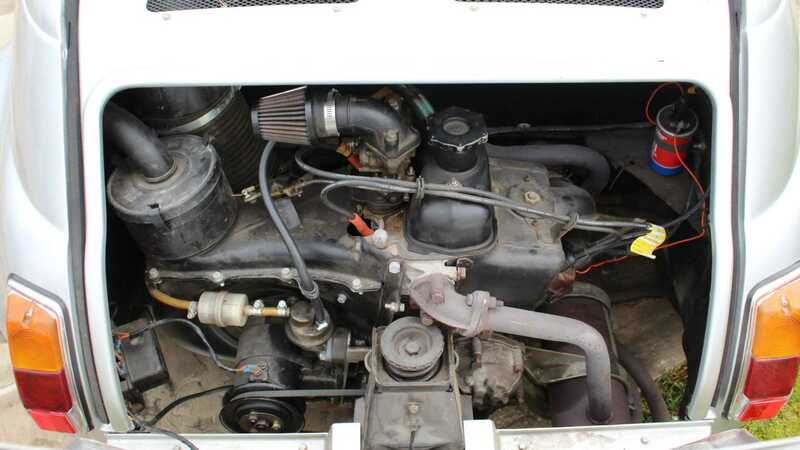 Its condition contributes to an estimate of $20,400 - $27,200 but it will go under the hammer without reserve. 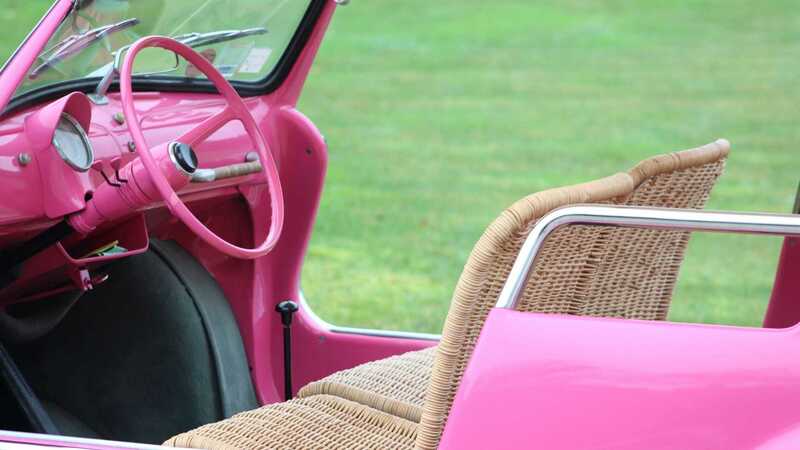 Pretty in pink, this is the final car of the trio being auctioned. 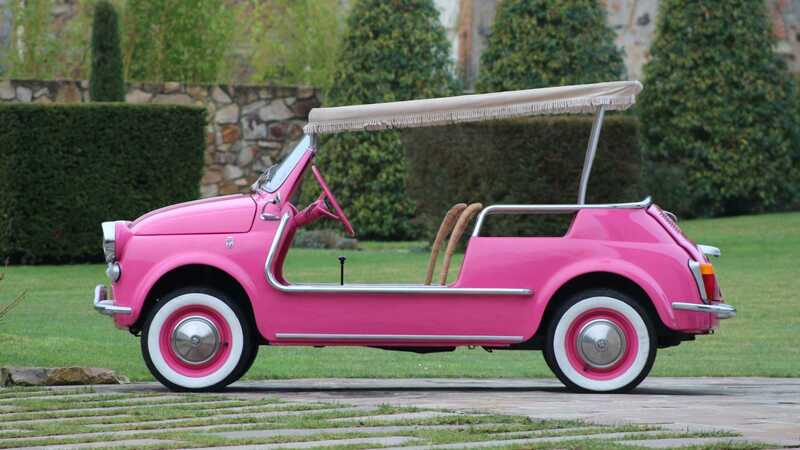 This 1961 Fiat 500 Jolly was designed by Ghia and makes for the perfect beach car. 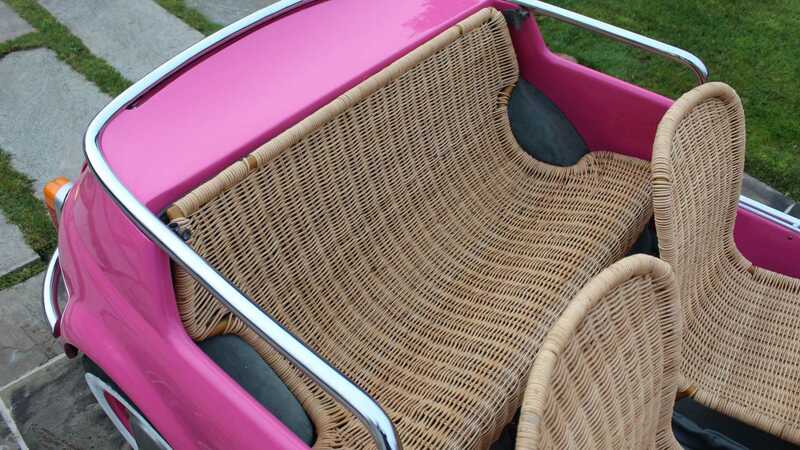 Complete with signature wicker seats and full-length awning, this car became very popular with celebrities of the 1960s. 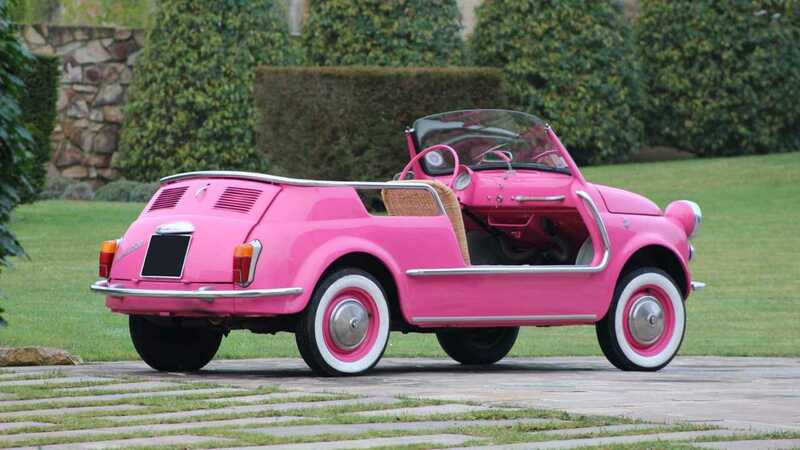 In fact, this US-spec car was delivered new to glamour model Geneviève Fath who resided in the South of France. 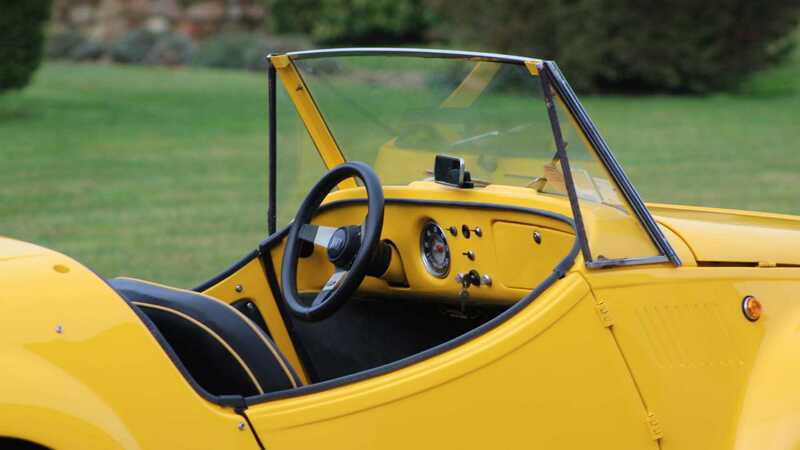 The Jolly joined the Catimini collection in 1993 and underwent a total restoration that attended to everything from bodywork to fresh wicker being weaved. 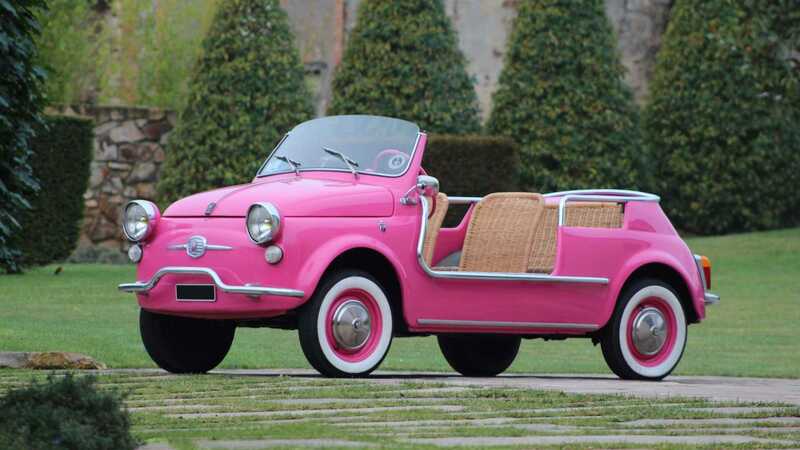 While it will be hitting the auction block without reserve, this Fiat 500 is expected to fetch between $68,000 - $90,800. 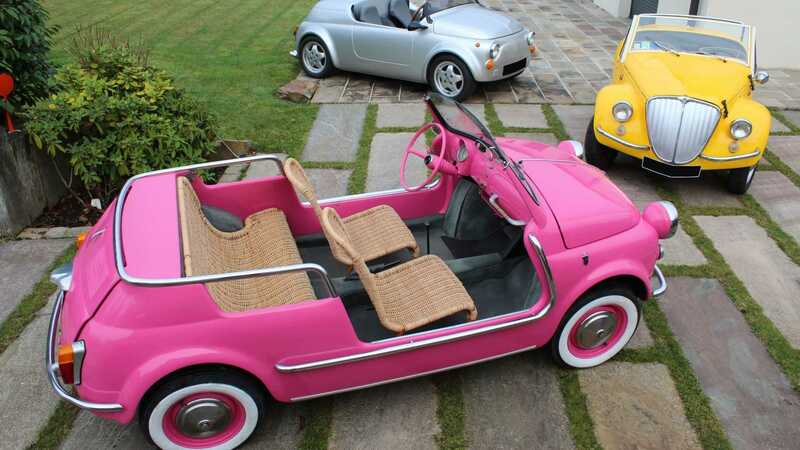 All three of these cars can be found in the Artcurial auction at Retromoible 2019.